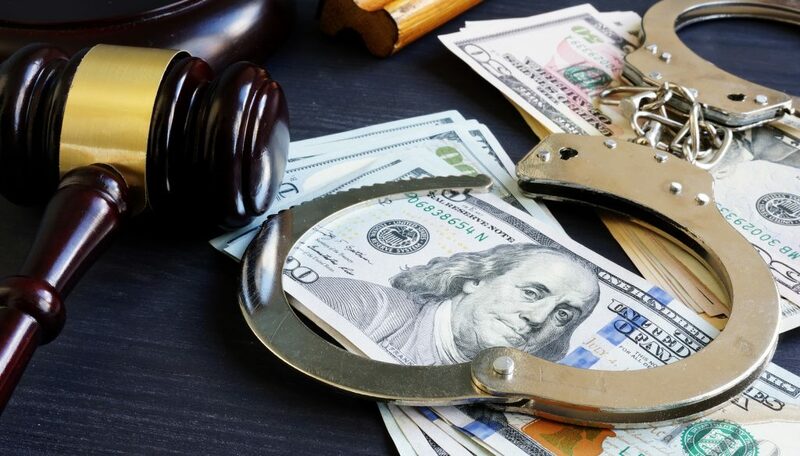 If you are in need of a bail bond, you may think it is proper protocol to call around to several different bail bond companies to see who will offer the best “deal.” But the truth is, there is no need to do that because the cost of bail is state regulated. However, the regulated bail limits are on a spectrum, which means that, to some degree, you may be able to procure a bail bond for less than someone else. Continue reading to learn what you need to understand about bail bond prices before signing a bail agreement for yourself or someone else. Bonds are set by judges who consider various factors before deciding on an amount. These factors include, but are not limited to, the defendant’s criminal history, the severity of their crime, and whether or not they are a flight risk. So in short, “yes”; the cost of bail is absolutely affected by the severity of criminal charges. This is for many reasons. Most states have bail schedules with predetermined bond amounts for certain categories of crimes. For instance, shoplifting might come with an automatic bail schedule of $1000, while domestic violence might have a $10,000 bond or more. The more serious the crime, the higher the bond amount set by the judge. If a charge is a violent one, such as assault, battery, domestic disturbances, and child abuse, you can guarantee that the bond will be set high. Furthermore, all preset bond amounts, however, can be increased upon the judge’s discretion depending on the previously discussed factors. But not to worry, our U.S. Constitution protects us from excessive bond amounts. So they will be fair. Unless you want to pay the jail or courts the full bond amount in cash or property, you will need to hire a bail bondsman. They charge a nonrefundable fee that is a set percentage of the total bond amount. For felony charges, bond amounts will be higher, which means the cost of a bail bond will be too. The premium a bail bondsman is allowed to charge is controlled and regulated by the State’s Insurance Department. Currently, this rates are set between 10 and 15 percent. This means that the total allowable premium that bail bond companies are allowed to charge can be anywhere between these percentages. They get to choose how much they charge within this range. If a person is facing a felony charge and they have a history for fleeing, a bail bondsman will charge on the higher end, closer to the 15% marker. For first time or minor offenses, most stick with the 10% charge. Call Woods Bail Bonds at 317-876-9600 for prompt and professional bail bond services in Indiana. We provide 24 hour bail bonds in over 30 Indiana counties. We serve the Northern, Central, and Southern Indiana areas with safe and secure bail bonds you can afford. 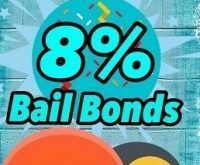 Right now, we are offering 8% bail bonds! Request a free estimate or information, anytime. This entry was posted in Bail Bonds and tagged 8 percent bail bonds, bail bond prices Indianapolis, Bail Schedule Indiana, Bail Schedules, cheap baill bonds Indianapolis, cost of bail. Bookmark the permalink.